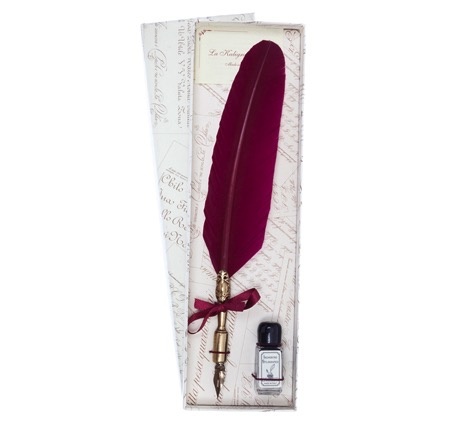 This Quill pen set has a small brass nib body and a medium duck feather quill. It also comes with a small square ink bottle with black ink. The perfect quill for any level.